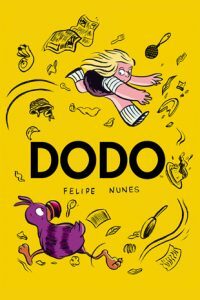 Dodo is a new full-color graphic novel written and illustrated by Felipe Nunes. 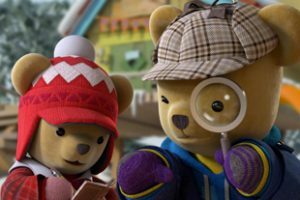 Ostensibly for young readers, it actually has more on its mind… “Laila is six years old and she’s been taken out of school following her parents’ divorce. She doesn’t understand why she can’t go to school with the rest of her friends or why her dad never comes by anymore. Laila comes across a mysterious bird, a dodo named Ralph, and befriends the creature that has been living in the part near her house. Through her friendship with Ralph, Laila starts to notice things, things she never wanted to understand.” Check it out at Simon & Schuster. At BLFC this year we came across an ad for The Dragon Tax, a new fantasy novel by Madison Keller. “When the King of Thima Island hires Sybil Dragonsbane, the last thing she expects is to be collecting taxes. Sybil has misgivings, but gold is gold. However, tax collecting isn’t as easy as it seems. 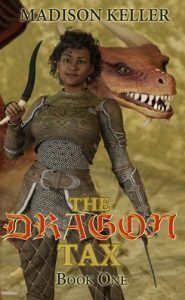 When a defenseless and handsome dragon begs her for help, Sybil discovers there is more to the tax than simple gold. Now wanted and on the run together, she must protect the dragon while untangling the truth. Worst of all, she may be falling in love.” The book is available now at Amazon. And speaking of the young folks… We came across this at a book store. (Remember those?) The Last Firehawk is a new illustrated fantasy series for beginning readers, written by Katrina Charman and illustrated by Jeremy Norton. Here’s what they say about the first book, The Ember Stone, over at Scholastic: “A terrible darkness is spreading across Perodia. Thorn, a powerful vulture, is using dark magic (and his dark army of spies!) to destroy the magical land. A young owl named Tag may be the only one who can save it! Tag dreams of one day becoming a brave warrior, but he is small . . . 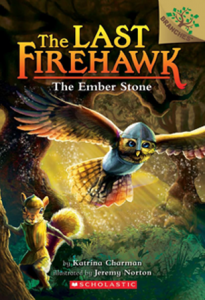 In this first book, Tag and his best friend — a squirrel named Skyla — meet the last firehawk. Together, the three friends learn about a magical stone. Could this stone be powerful enough to defeat Thorn? This action-packed series makes a great introduction to fantasy and quest stories for newly independent readers. Realistic black-and-white artwork appears on every page!” Already there are four books available in the series. Is She The Last Dog? Now there’s a brand new fantasy series for young readers from Katherine Applegate, well-known author of the Animorphs series and books like The One And Only Ivan. 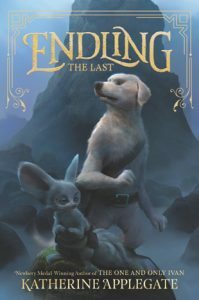 Her new series is called Endling, and the first book is Endling: The Last. Here’s what the publisher says: “Byx is the youngest member of her dairne pack. Believed to possess remarkable abilities, her mythical doglike species has been hunted to near extinction in the war-torn kingdom of Nedarra. After her pack is hunted down and killed, Byx fears she may be the last of her species. The Endling. So Byx sets out to find safe haven, and to see if the legends of other hidden dairnes are true. Along the way, she meets new allies—both animals and humans alike—who each have their own motivations for joining her quest. And although they begin as strangers, they become their own kind of family—one that will ultimately uncover a secret that may threaten every creature in their world.” The Last is available now in hardcover, and the publisher’s web site features a book trailer and an interview with the author. Interlude Press is a boutique publisher specializing in fiction geared toward the LGBT crowd and their friends and allies. While visiting their booth at the LA Times Festival of Books we came across the works of Michelle Osgood. Her talent is dark supernatural fantasies with more than a touch of romance — and her favorite subject seems to be werewolves. 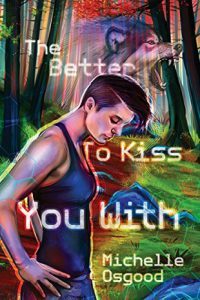 Here’s the press release for The Better To Kiss You With, the first book in her series of the same name: “In the rare moments when Deanna Scott isn’t working as the moderator for Wolf’s Run, an online werewolf role-playing game, she wanders the local forest trails with her golden retriever, Arthur, and daydreams about Jaime, the attractive, enigmatic woman who lives upstairs. As Wolf Run’s “den mother,” Deanna is accustomed to petty online drama. But when threats from an antagonistic player escalate, Deanna wonders if her awesome online job could be riskier than she’d ever imagined — and if her new girlfriend knows more about this community than she had realized.” The next two books in the series are Huntsmen and Moon Illusion.